Wikipedia reads the Students’ Union as an organisation of the students present in many colleges, universities, and high schools. In higher education, it is often accorded to its own building on the campus dedicated to social, organisational activities, representation, and academic support of the membership. 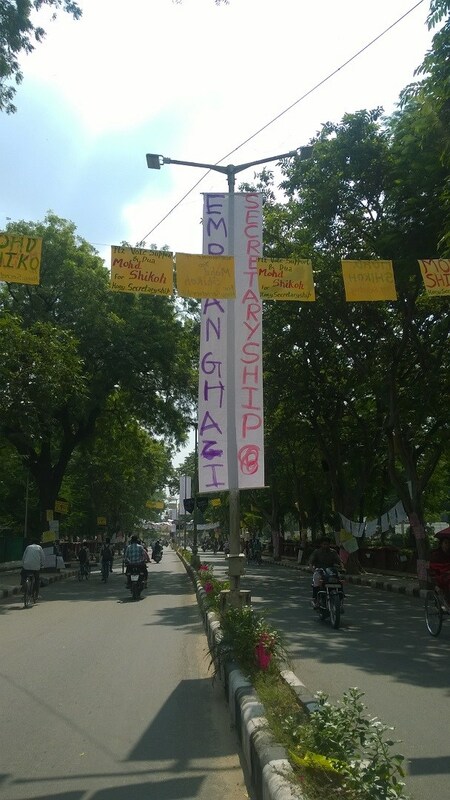 The Aligarh Muslim University Students’ Union (AMUSU) has its own broad definition of Students’ Union. The students of Aligarh Muslim University (AMU) always broaden their chest to ’56’ inch when they go to the past glories of AMU’s success. This university has contributed to a great extent in the formation of the academic structure of Muslims in India. ‘Aligs’ is the well-known term given to this university’s alumni. Aligs had become notable in many varied fields, both academic and otherwise, ranging from Zakir Husain, 3rd President of India; freedom fighter Khan Abdul Ghaffar Khan; the current Vice-President of India Mohammad Hamid Ansari; Sheikh Abdullah and Mufti Mohammad Sayeed both former chief ministers of J&K; Azam Khan the current cabinet minister in the government of Uttar Pradesh. These are among the many alumni of AMU all over the world. The reason of only quoting political faces of AMU lies further in this write-up. The AMUSU elections have been rescheduled for 8th of October 2016. University is witnessing an atmosphere full of gumptious campaigns with every candidate confident of winning for their post. Speeches are going on and blaming Vice-Chancellor is the takiya kalaam (jargon) for the candidates asking votes from the podium. Smiley face and Sherwani look is the major tool nowadays during the campaign. 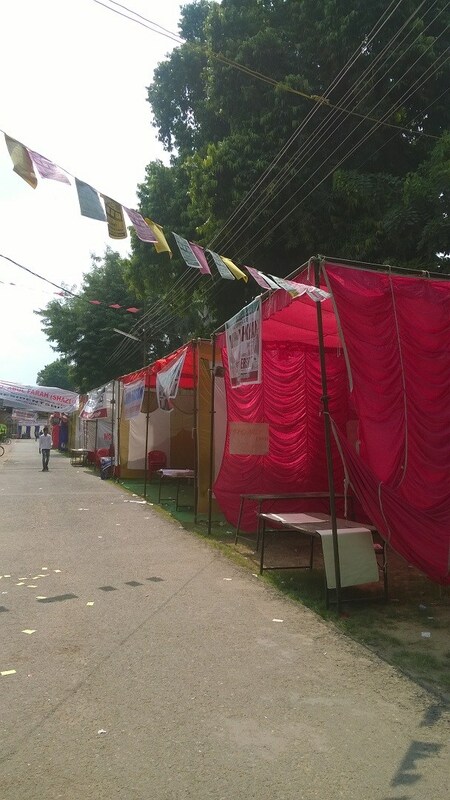 Every candidate has set up its own Tambu (Tents) and students can be seen enjoying ‘Chai and Biryani’ in exchange for votes. Besides it, we can also see some students seated on chairs for their turn to eat and fly off as soon as possible. The one who cares for the honest selection of their representative in the Student Union is known as ‘Softy’ and had no place in the 30000 strength of the University. This is just because this student wants to vote fairly without any force and fear of lobby and region. ‘Arre ek vote ki hi to baat hai (It is just one vote who cares). We should support our [regional] lobby otherwise in future we are not eligible to take help from them. Who is going to help then’ says an undergraduate first-year student when asked for whom to vote in the latest AMUSU elections. Regardless of electing a leader on the basis of lobby or friendship, a leader must be elected on the possession of the qualities needed for representing the student issues. The purpose of these organizations is to represent students both within the institution and externally, including on local and national issues. This one line sentence reflect the whole mindset of the students taking part in the elections. Universities are the institutions for higher education and research while students are to study and a union is the tool of coordination between students and the university. After the turbulence in the universities like JNU and the University of Hyderabad, it is now a suitable moment for the students of AMU to make a drastic and far-reaching change in their ways of thinking and behaving. The change that needs the participation of students who are forced to stay quiet and those who genuinely want to participate in AMUSU but fear to ascertain a suitable platform of a skillful and effective environment in the university. The duty also lies on the shoulders of the students to come forward for truth making themselves free of enslavement present in the form of lobby, sect, region, area, etc. Regardless of electing a leader on the basis of lobby or friendship, a leader must be elected on the possession of the qualities needed for representing the student issues. The purpose of these organizations is to represent students both within the institution and externally, including on local and national issues. 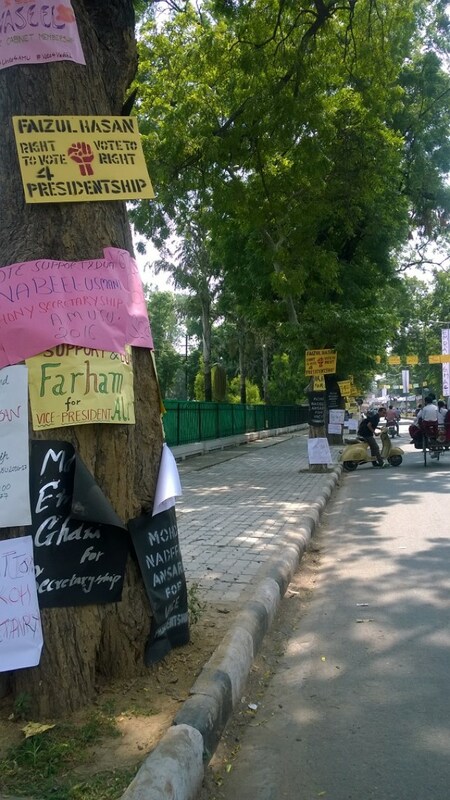 Some students’ unions are politicized bodies and often serve as a training ground for aspiring politicians. A successful union is the result of honest selection, possible if the students are aware of their favourite candidate. Awareness is spread through debates, discussion, cross-questioning, speeches and many other such creative activities right now missing in AMU. Students must be serious to fill this void of something that is necessary but lacking. Students’ unions generally have similar aims irrespective of the extent of politicization, usually focusing on providing students with facilities, support, and services. At this particular juncture, AMU needs unfeigned representatives in AMUSU otherwise, this minority think tank may be lost somewhere in dormant state.